The young have no fear...Medha obviously had a blast! The bungee jumping, her first rock concert...cookies? 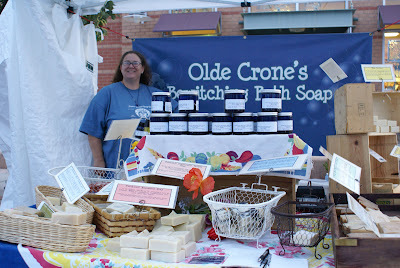 I am fascinated by hand made soap...bought a book a long time ago, but never tried my hand at it. Khadi too markets beautiful soaps, and stuff. And you got to go twice! hmmm... there's a store in Bangalore which sells these special soaps too... but they're frightfully expensive. 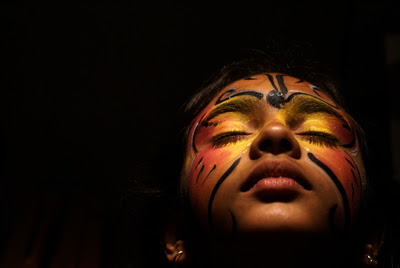 that pic with medha getting her face painted is just superb. looks like all of you had a blast. 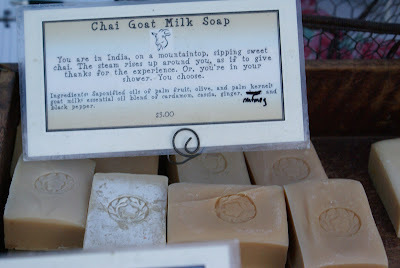 Khadi soaps are good na Anita, reasonably priced, i like the jasmine cheese in white colour and the lavender too! I think Raaga is talking about the Lush brand of products, even if i ever buy one of those, i will never be able to use it thinking of how I can melt away a 1000 buck soap....ouch!!! You are a revelation, Manisha! Thanks so much for the support! Sounds like you had a good time doing local stuff. 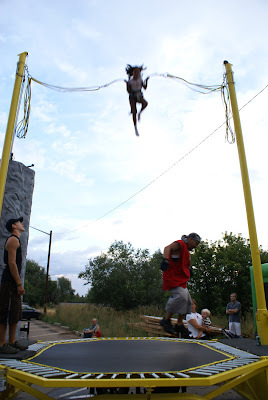 That bungee jumping stuff ain't for me, I am too much of a scaredy-cat, so I am sure Medha is quite the daredevil. Anita, that she did! She wants to go back again - tihs time, with a few of her friends in tow! So I might go thrice and once more! Amy's soaps are wonderful. The fragrance is very soothing. Raaga, maybe your answer lies in making them yourself! Or finding an Amy in your neighborhood or community who does. Welcome to IFR! Bee, thanks! It's now one of my favorite pictures! Nandita, now don't you take up where Bee left off! Switch to Firefox - in most cases, the Back key will present you with your form with the fields filled in. Or copy your comment into your clipboard before hitting Publish, just in case you lose it. Molly, you made it! Welcome to IFR!. 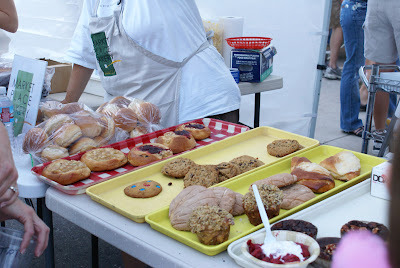 You should go to a local fair. Not only is it tons of fun, you support local businesses and your community when you do. The more local you are in your purchases, the more your community flourishes. Amy, welcome to IFR! I love your soaps, what can I say?! I hope to see you again this Friday. Some of my friends here might tell you that there are very few recipes on my site. Don't believe them! Tucked away in the right sidebar is my menu of recipes, which opens out as you click on it. And thank you for the link love! ET, you know more about local stuff than I do. I am just getting my feet wet so to speak! Bungee jumping isn't for me either. I was scared just watching her. She on the other hand got her shot of adrenalin and couldn't stop shaking for a while when she got off! Found your blot through Amy K's newsletter, since you featured her soap. Great pictures, and what a beautiful daughter! It's a bonus that your blog features Indian food. Have had my own Masala spice tin for years. Thanks for all the info. We'll probably check it out this weekend, assuming my 5 month old cooperates! We should definitely have tea! Sorry I saw your messages late, I wsa a little busy. Let's coordinate. A lovely post. Really enjoyed this one Manisha. I also just love the photo of Mehda's butterfly face! BTW: I have awarded you with two awards (on my blog) - congrats! LOL! oh my look at that young spirit from your little one. its really exciting for them na!i am fascinated by those homemade soaps i have seen here too but its damn exp! looks like it was funfilled evening for all of you! Great pics! and and i love Medha's adventure and her face painting, did you try one too :-D.
and i love those soaps :). we get them at the local fair too. This one was such lovely write-up, Manisha! am glad you guys enjoyed so much! Esri Rose, thanks and welcome to IFR! I think everyone should have a masala tin, don't you? It's just so convenient! I found your Wet Noodler Posse blog quite interesting! Roopa, if you get to downtown over the weekend it will look like this. Pretty much nothing! The fair is only on Fridays! Today and next week only. After that, next year is your only hope! Louisville has a quaint little downtown. 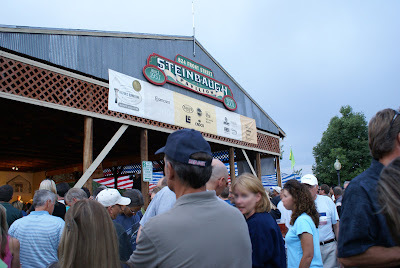 In winter, the arena outside the Steinbaugh Pavilion is converted into an open air skating rink. Meeta, you are a sweetheart! Thank you for those wonderful awards! I am overwhelmed and have a long list of people I want to thank...OK! I won't do it here! I'll dedicate a whole post to it! Seriously though, that is just so thoughtful of you and that explains why you got the awards in the first place! Priya, after the little madam comes home from a manicure, we will be heading to the fair again. Yes, a manicure. I hate putting my knotty fingers on the table for anyone to see. She has no such qualms and considering that she is paying for it herself from the cat-sitting she did, why not! Fort Collins is more than an hour and half away from here. 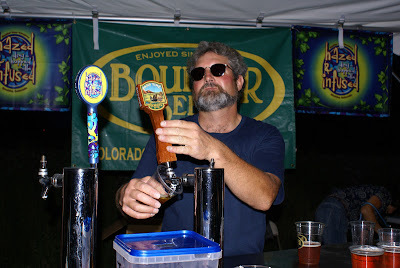 Have yoru friend check out the local events at Fort Collins. 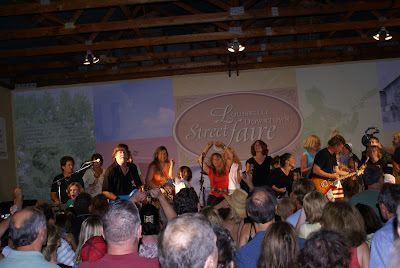 They have Friday evening concerts, Farmers' Market on Saturday and more! Mythili, actually Medha has a cool Dad. If it were left up to me, face paint is all she'd get. I can't bear to see her go up that high in the bungee jump. From what I have heard of Pike's Place, it is much bigger. Louisville is a small town, under 20K population. Let me know when you come out my way. It is beautiful here all year round! Roopa, she loves these fairs and I am glad she has not inherited my genes when it comes to these things! If you are interested in the handmade soaps, why don't you look into making them yourself? You could do your own research or buy Amy's book to start you off! Musical, I'd love to try one but I can't bear paint on my skin. I hardly wear any make-up for the same reason. Glad you liked the pics! Molly, look up the web site for the city you live in. 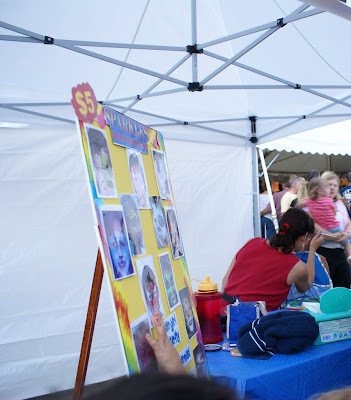 There is usually a Chamber of Commerce or a Downtown Business Association that puts together these fairs. Well, cotton is wonderful and cool for every day use! Manisha- that's beautiful soap! I've always wanted to make my own actually. Both of my grannies did, and, in a little cookbook that belonged to one of them, I found a pamphlet on soap-making put out by a lye company. The thing is, I don't know where to find lye. It isn't a popular cleaner so much nowadays (except pre-diluted as oven-cleaner). But, I think I heard somewhere, sometime that lye could be made from ashes. I suppose lye could be ordered online somewhere? "i don't wear any make-up"
Me too!! my skin feels choked! Ooow! Hellooo to Medha up there! My 9yo went wild during this vacation too.. I had to accompany her on all those scary disney world rides. Its funny, as a kid, I was afraid of any roller coasters that go high up. But now I am accompanying my daughter!